If you’ve ever been like me—literally coming face-to-face with a hummingbird—you’ll instantly understand why these beautiful little creatures have been revered by so many different cultures since ancient times. It was a typical summer day, and I was sitting on the deck of my parents’ home reading a lovely book (yes, the perfect introverting activity, I’d say). But this was no insect. And in a split second, I have a gorgeous hummingbird—just a few inches from my face—staring me straight in the eye! It was as if she was checking me out and pondering my utter existence. And then without a moment’s notice she zipped away just as quickly as she had popped up. I was a bit startled by all of this, of course. Firstly, I had never even SEEN a hummingbird before. I had lived for over 20 years in that neighborhood and never even knew hummingbirds existed in the region. Secondly, she had a sharp, skinny long beak—perfect for poking out eyes (although it seemed she had very good intentions)! Thirdly, and most importantly, we had a sacred moment. It’s that feeling of understanding when you connect with someone or something on a deep, spiritual level—an instant realization that may not always be easily explained in mere words. Ah, yes—I see you. You are an intelligent, divine other-being, and I respect you. Cheers! So not only in that moment was I taught to be more respectful of nature, I also instantly sensed the deep intelligence of another (albeit) non-human being. This was especially fitting considering that during this experience the book I had been reading was the aptly titled, Intelligence in Nature, by Jeremy Narby. Anyways, each animal totem, also known as a spirit or power animal, has their own unique symbology and energetic signature to serve us humans as spiritual guides. They help us navigate our lives by offering protection, inspiration, and wisdom. Needless to say, after that initial encounter I started seeing hummingbird imagery everywhere. I knew deep down that these signs were reminders to connect with the sacred energy and symbolism of this beautiful creature. For example, shortly after my lil’ hummingbird meet and greet, I was at a bookstore and curiously picked up a book on animal totems. And yup, you guessed it—I opened it directly to the page on hummingbirds! Mmmmm, what a juicy reminder to reconnect back with our authentic, “spiritual being having a human experience” selves. Living in the present digital age can unfortunately reinforce continued disconnection from such integral parts of our being. Stop and notice the beauty in everyday life. That means to practice conscious awareness of the small beauties in life: a flower growing through a crack in the sidewalk, a small child’s laughter, or a stranger’s smile—and so forth. Be mindful of seeking out the beautiful in the mundane—every day. There are tiny slivers of gorgeousness everywhere—you just may have to seek them out by practicing present moment awareness. Embrace the sacred healing medicine of plants. Plant healing comes in many forms: Flower essences, aromatherapy, herbalism, and even through nutrition. Flower essences are unique, highly-vibrational healing tools which assist us on the energetic level, helping to heal deep emotional and spiritual blocks while nourishing the mind, body, and spirit. Typically, you take a few drops daily with water or under your tongue. Aromatherapy is the practice of using the natural, essential oils that have been extracted from plant material and used to enhance our physiological and psychological health and wellbeing. Each specific oil has a wide range of applications and extensive scientific studies to back the efficacy of these powerful oils. Some of the most commonly used essential oils include tea tree, lavender, and peppermint. Herbalism is simply the use of plants for therapeutic purposes. It is recognized as the most ancient system of medicine practiced on this earth. Herbal medicines come in a variety of forms, such as teas, tinctures, capsules, poultices, and salves. Furthermore, Michael Pollan author of “In Defense of Food,” wisely wrote that we should “Eat food. Not too much. Mostly plants.” And the Greek philosopher, Hippocrates, once said: “Let food be thy medicine and medicine be thy food.” So make sure your diet regularly boasts a variety of vegetables, fruits, nuts, seeds, and spices. So whether it is through flower essences, aromatherapy, herbalism, or simply eating plant-based foods, you are connecting with the exquisite healing power of plants—the original medicine cabinet. Lighten up by adding in a lil’ joy. Hummingbird teaches us to remember that we are multifaceted beings whom regularly need time for play—even as adults! For example, my best friend and I will schedule in a “dance party” every now and then. And literally do just that—crank up some great tunes and go to work! We are both introverts, and love the fact that we can dance as silly as we want – and no one will see our crazy-strange new moves or awkward moments as we momentarily get off beat (a definite win-win)! 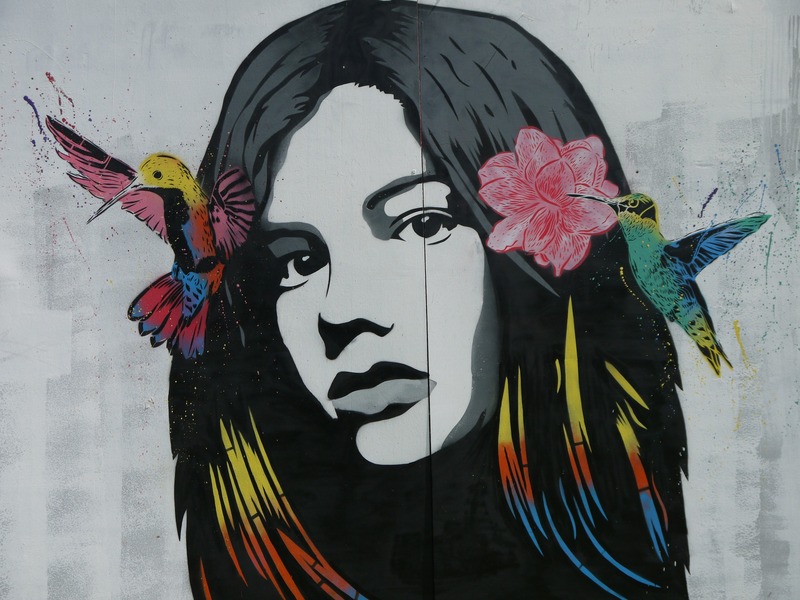 Connect with your inner hummingbird. A symbol of resiliency, hummingbirds burn up a lot of energy as they fly around seeking out the tasty nectar from flowers. Not that different from us humans, right? In these modern times, we are always running from one commitment to the next, leading us to feel rundown and burned-out after awhile. Replenish your own energy reserves by engaging in restorative activities such as physical exercise, a relaxing nighttime bath, or a walk in nature. Think about what types of activities rejuvenate you and commit to scheduling them in regularly. Another sacred message of this spirit animal is: “The sweetest nectar is within.” Each of us has immense wisdom already present within us, so it’s important to take time to “go within.” Realign with your spiritual self through contemplative activities like meditation, journaling, deep breathing, or reciting mantras. 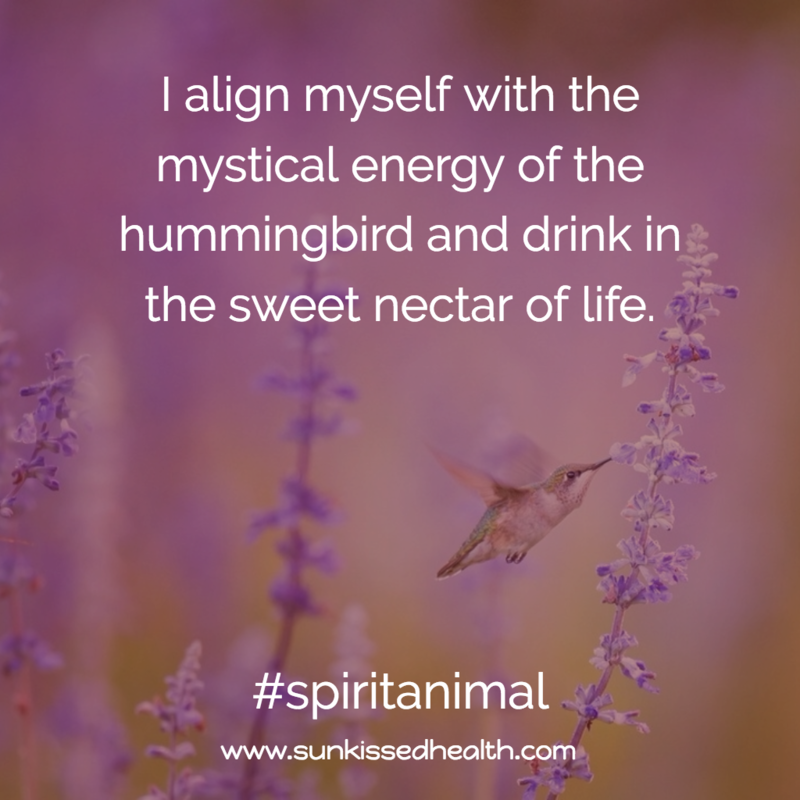 Example Mantra: I align myself with the mystical energy of the hummingbird and drink in the sweet nectar of life. 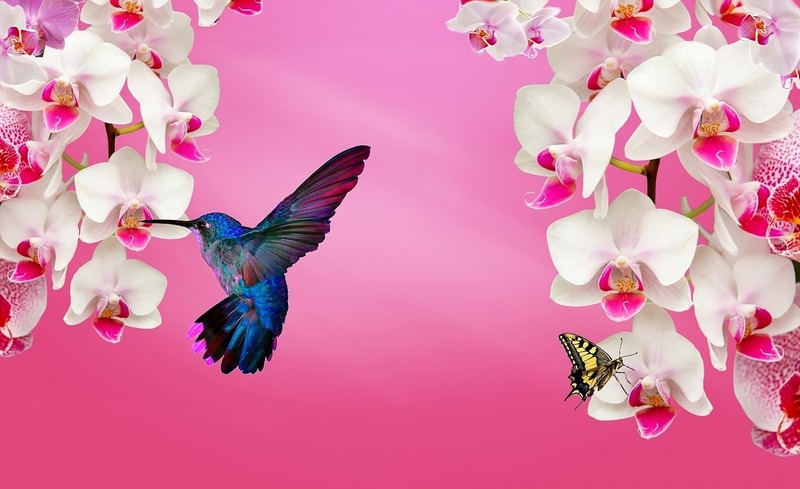 It’s no wonder that many of us who are deeply engaged with our own spirituality feel especially drawn to these creatures, as hummingbirds represent living inspired and in-joy. Intriguingly, their wings move in the pattern of the infinity symbol—a sideways figure eight—and at such a high speed (approximately 50 flaps per second) that their wing flaps are imperceptible to the naked eye. 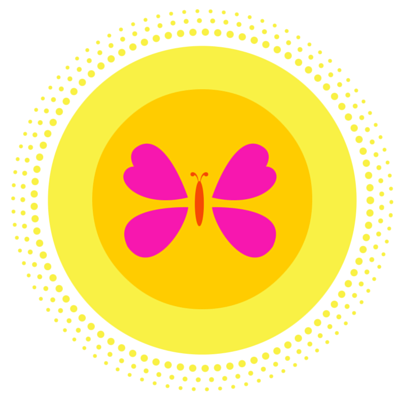 What about you—do you feel spiritually connected to hummingbird energy? Do these tiny birds hold special meaning for you? Feel free to comment below with your stories around hummingbirds or your spirit/totem animals. Luttichau, C. (2009). Animal spirit guides. London, England: Cico Books. Awesome, yes I think they’re pretty majestic 🙂 Best of luck to you! I have had six occurrences with humming birds. In different places unexpectedly. Hi Patricia! Wow, that’s a lot! What message(s) did they seem to bring for you? !